Rockleigh, NJ--Crestron has announced the appointment of Richard Fischbeck as its new commercial lighting regional sales manager, covering the Southwest territory. Fischbeck joins Crestron from Schneider Electric Lighting Controls, where he was a business development manager, and brings his extensive expertise in lighting control to drive the expansion of Crestron commercial lighting solutions. "Our commercial lighting division is expanding rapidly, and we are thrilled to welcome Richard to our team," said Mike Malone, Crestron senior director of lighting controls. "As an industry veteran with a proven track record of success, Richard will support our commercial lighting business by working with local electrical contractors and distributors." Fischbeck has more than 20 years experience in lighting sales and support. He began his career at Cooper Lighting where he was responsible for 13 manufacturer's rep groups in nine states. He also worked at Hubbell Building Automation for more than a decade. 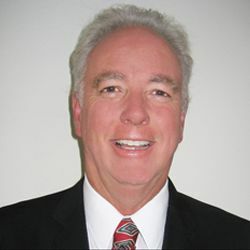 Most recently, Fischbeck worked closely with electrical engineers, distributors, contractors, systems integrators and end users during his tenure at Schneider Lighting Controls. "I'm excited to join Crestron and support the Southwest Commercial Lighting team," said Fischbeck. "This is a great opportunity to bring my years of management and sales experience to help expand Crestron Lighting Controls while supporting our dealers and specifiers with the best solutions and service available."